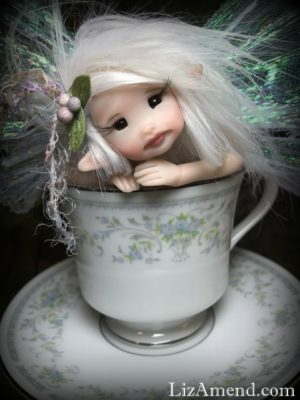 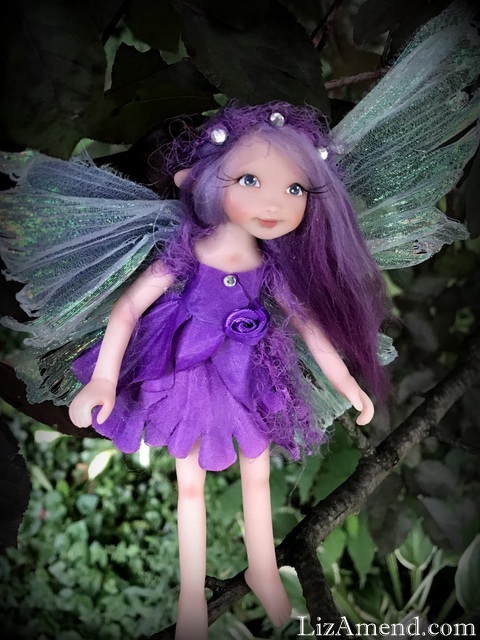 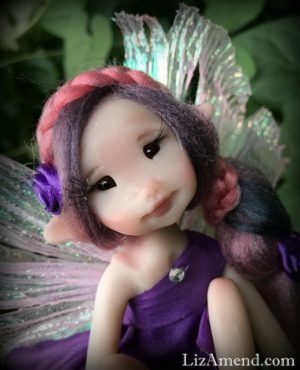 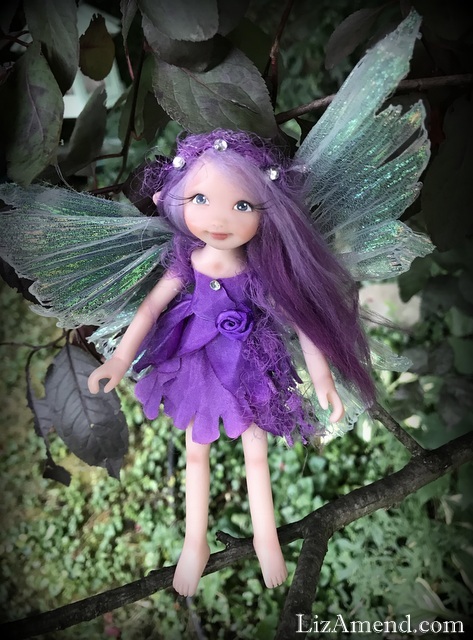 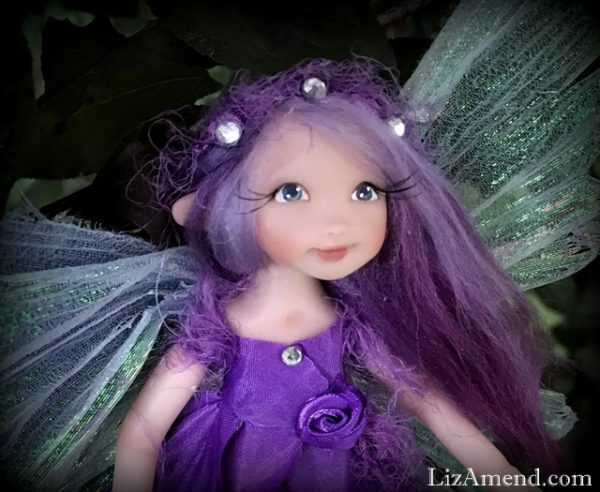 This sweet garden fairy measures about 6.5 inches tall. 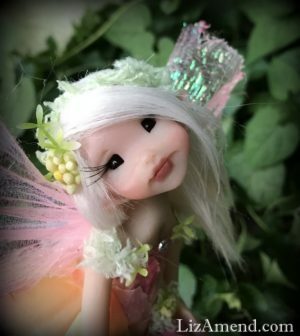 This sweet garden fairy measures about 6.5 inches tall. 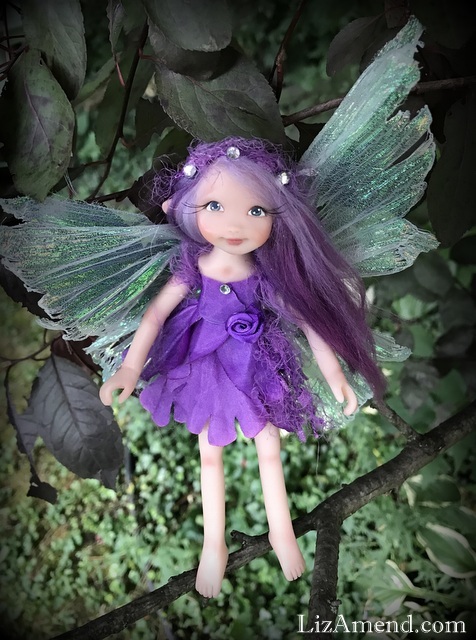 She can be posed at her hips and shoulders and has a wire loop on her back if you wish to display her as if she is flying!